Today we are going to learn to crochet a beautiful, V shaped zig-zag stitch. 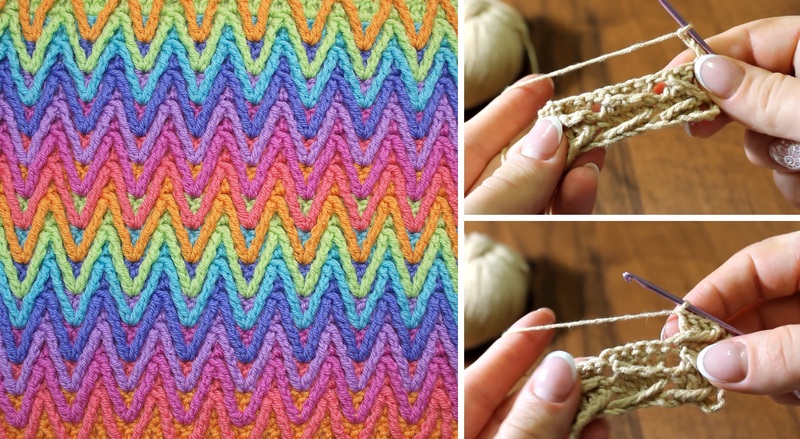 We are going to learn to crochet a ripple zigzag in multiple ways. First, we are going to introduce a couple of video guidelines to you, so that are going to show you all the ins and outs of this project. The majority of crocheters should be able to finish the project without further explanations. However, if you prefer written instructions (pattern) and a chart, than we also provide it in this article. Make sure to follow the instructions carefully. The project – V shaped ripple zigzag stitch – is rather applicable in various ways. You can certainly make jackets, tops, blankets and etc. using this technique.